An unassuming tray of soil attracted visitors of all ages, but was particularly tempting for little hands to delve into for hidden worms. Earthworms sat alongside tangles of seaweed, and a computer station showing a collection of the Museum’s miniature fossils. The Earthworm Watch team got lucky after a recent spate of dry weather abated, on the last day of the Fossil Festival, allowing showers to tempt worms back up to the surface; all the better for watching them! 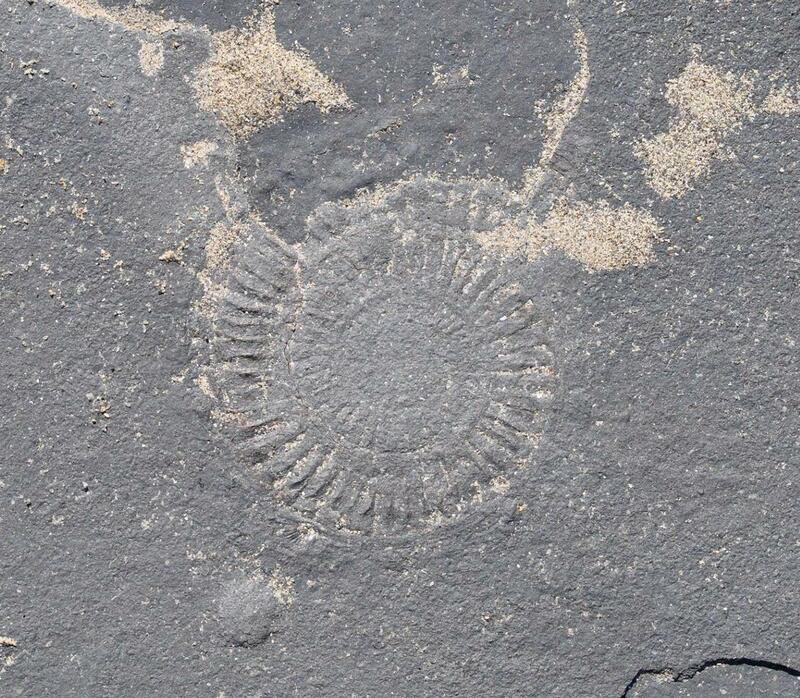 The wet weather wasn’t just appealing to earthworms; it also attracted fossil hunters, keen to unearth freshly exposed fossils revealed by showers that washed the Jurassic Coast’s cliffs. Indoors visitors could also sieve for fossils and uncover stories that specimens revealed, among a plethora of hands on science fun. These fun activities demonstrated cutting edge science and showed revellers how they could get involved in The Natural History Museum and other partner organisations’ projects and contribute to real science research. Once such research project is The Big Seaweed Search, a collaboration between The Natural History Museum and the Marine Conservation Society, which maps seaweeds around the UK coast to monitor how the seas are changing. Another Natural History Museum (citizen science) project is Miniature Fossils Magnified. This project uses online crowdsourcing to enable the public to digitise Museum specimen records of tiny ocean microfossils, which will help scientists to understand ancient seas. These projects along with Earthworm Watch study small species which can help to map a much bigger picture of how life on Earth is adapting to changes in the environment. Like all citizen science, these projects are people powered research, meaning that researchers collaborate with members of the public to gather vital data. Earthworm Watch allows scientists to gather soil data from across the UK, helping show the human impact on soil and how habitats on Earth may respond to future climate change. This research will help humans understand what needs to be done to help create healthier ecosystems from the ground up. For instance, Earthworms are called ‘ecosystem engineers’as their burrows create pores in the earth, which let air into the soil and allows water to drain away, helping to prevent flooding. Worms also recycle dead matter, unlocking nutrients to help support new life and this process helps to store carbon in the soil. These qualities promote healthy soil structure and nutrition that supports plant life, preventing soil erosion as plant roots hold soil in position, stopping it from being blown or washed away. It seems that many of us are drawn to the mystery of what lies beneath the surface; whether that is something rare like a fossil or something common but often unseen like the humble earthworm. Now is the last chance to take part in Earthworm Watch before the hot summer months when the earthworms burrow deep into the soil. Your data can help us to paint a more detailed picture of the world hidden beneath our feet and how we can look after it. If you have received your survey pack, but have yet to dig for earthworms and submit your records, please get involved.